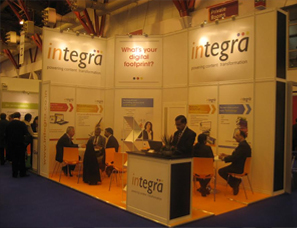 Integra is participating yet again as an exhibitor at London Book Fair 2012. Integra understands the digital transformation the world is going through and the challenges that it is posing publishers today. But at the same time it is fuelling new growth opportunities and is presenting an exciting future. In an increasingly digital world – eBooks and digital content is paving the way for the next round of growth… but print will co-exist. Both these medium will augment each other and open up a new world of opportunities. This is what the experts are starting to believe! 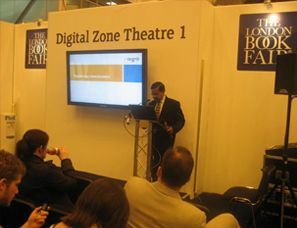 Visit us at our stand (Y 850 @ the Digital Zone) at the London Book Fair. Integra, shares the same passion and optimism as you. As a true end-to-end publishing service provider from print to digital, we can help you to manage your current transition better. The London Book Fair is the global marketplace for rights negotiation and the sale and distribution of content across print, audio, TV, film and digital channels. Taking place every spring in the world’s premier publishing and cultural capital, it’s a unique opportunity to explore, understand and capitalize on the innovations shaping the publishing world of the future.